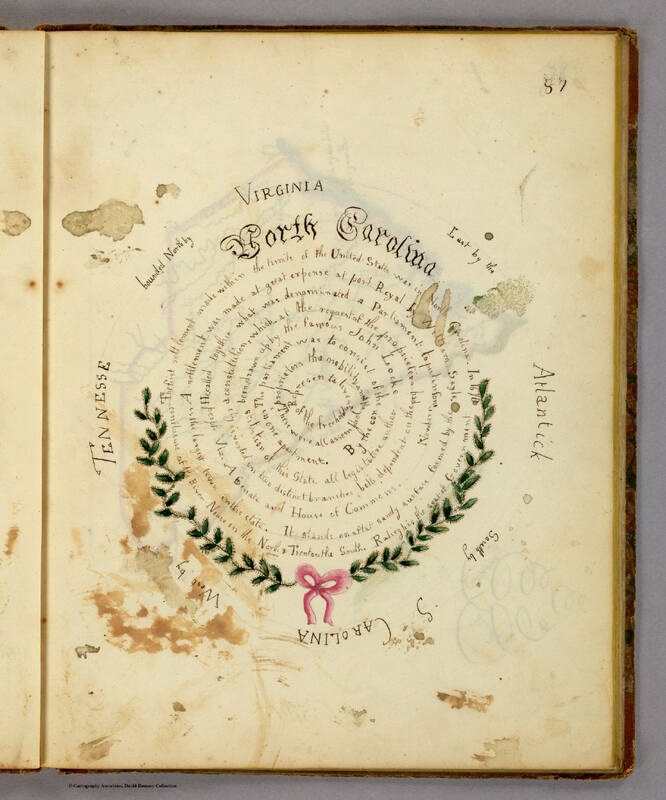 North Carolina's text is laid out a in two adjoining half-circles, nestled into a wreath. Directional boundaries are listed, including Virginia, the Atlantic, South Carolina, and Tennessee. 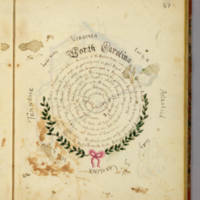 Frances Alsop Henshaw, “North Carolina text,” Inventing the Map (with Neatline), accessed April 20, 2019, http://henshaw.neatline.org/items/show/35.